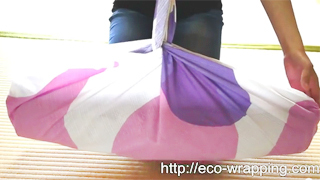 We can make Yoga mat bag with Furoshiki very easy! It’s ecology, easy to carry and stylish. 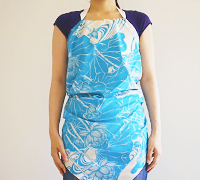 How to make easy apron with Furoshiki cloth. It nead to just a string, Furoshiki or other cloth and 1min! 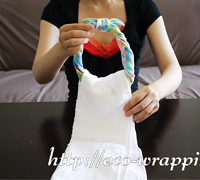 How to make towel hanger with Furoshiki cloth. 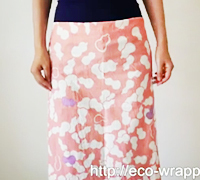 This is the basic wrap for gifts in Japan, used for celebrations and variety of other purposes. It’s convenient When you wrap the bottle which it is heavy, and is not stable. 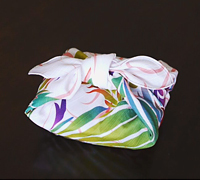 Also a great way to show off your wrapping talent! To carry, loop your fingers under the knot. A little know how and ingenuity is all it takes to wrap a long box beautifully. The shoulder bag is makeing with big size Furoshiki. So you can carry big things.